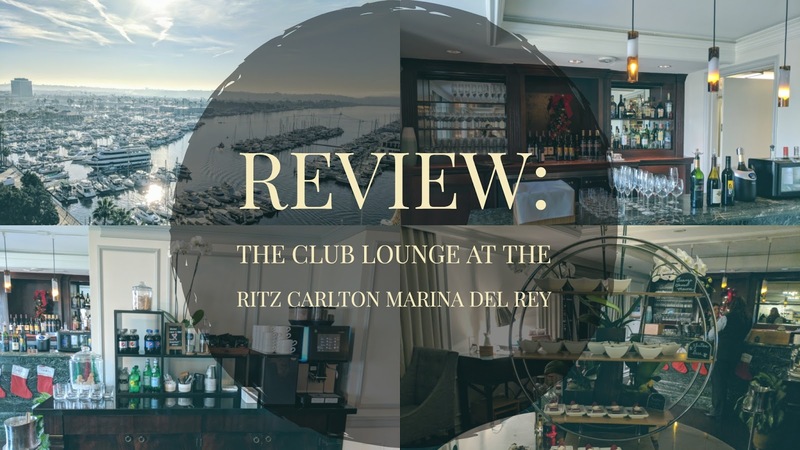 The Club Lounge at the Ritz Carlton Marina del Rey offers a personalized concierge service, spectacular marina views and a presentation of extraordinary food and drink selections throughout the day. Is it worth the cost of reserving a club level room or upgrading to get club level access at the Ritz Carlton Marina del Rey? For a look at the Ritz Carlton Marina del Rey, be sure to check out my review here. 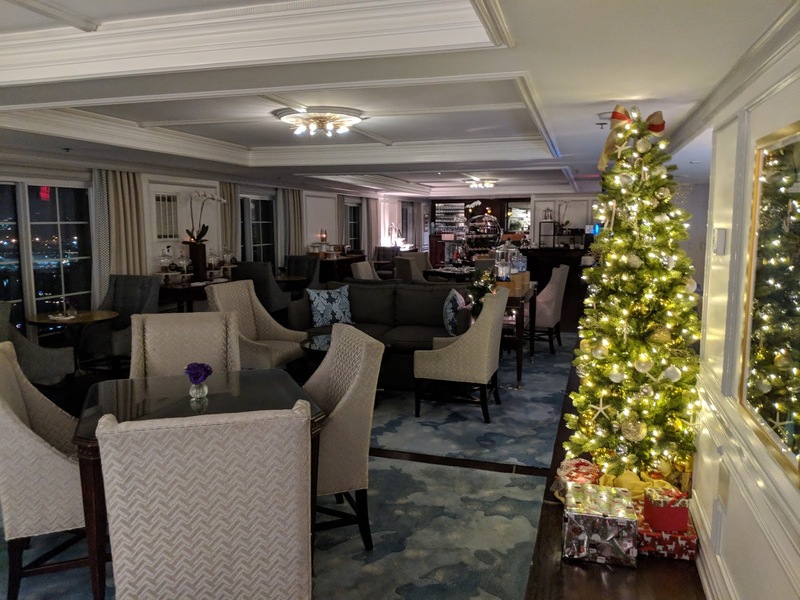 The Club Lounge is exclusively for the comfort and convenience of Club Level guests, accessible by private key access only, and welcomes guests with its stunning marina views, refined and relaxed ambiance with comfortable lounge seating, personalized concierge service and complimentary food and beverage presentations throughout the day. 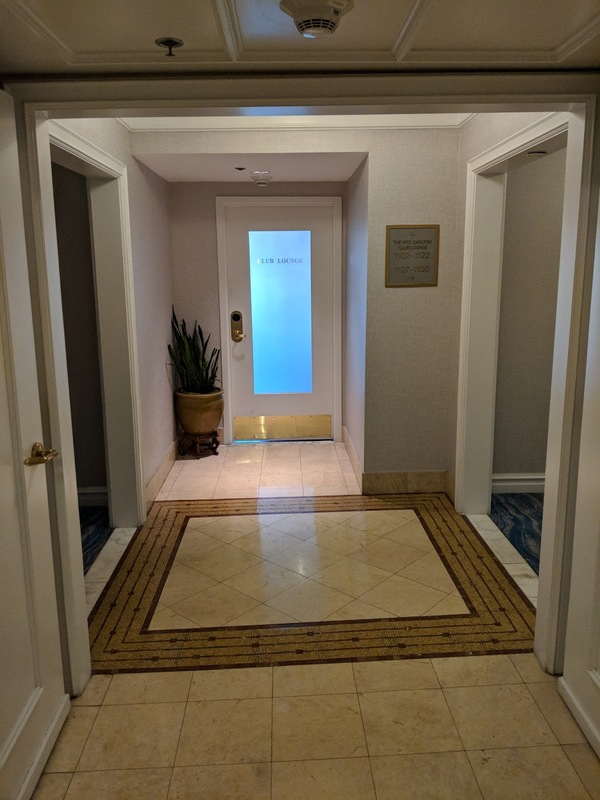 The Club Lounge is located on the club level floors (floors 11 and 12) near the elevators on the eleventh floor of the hotel. The Club Lounge exclusive amenities include continuous culinary offerings throughout the day (breakfast, light lunch, evening hors d' oeuvres, desserts and sweets), accompanied by a full-service Club Concierge to see to your every need during your stay. The club lounge staff makes great cocktails and offers wine, alcohol and beer in the afternoon and evening as well. 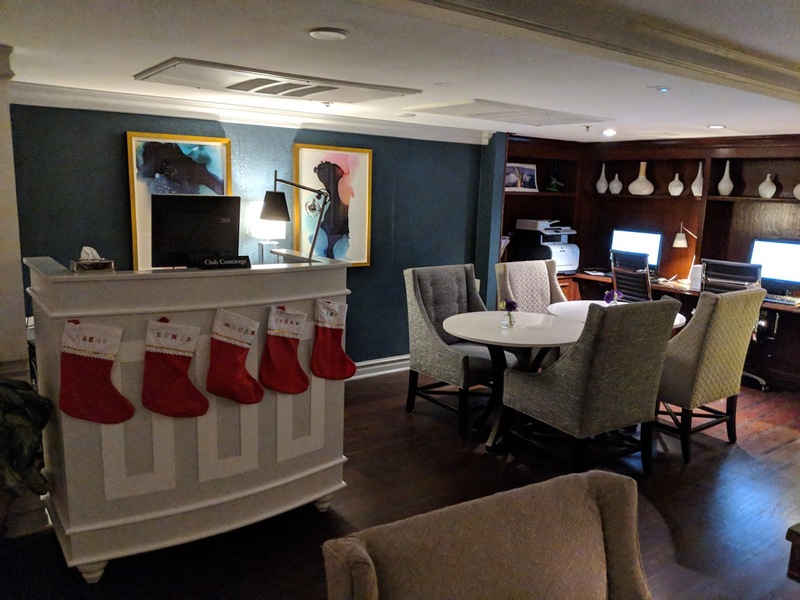 In most cases, the cost of having Club Lounge access is approximately valued at $100 per person per day, or at least what the Ritz Carlton typically values it at. 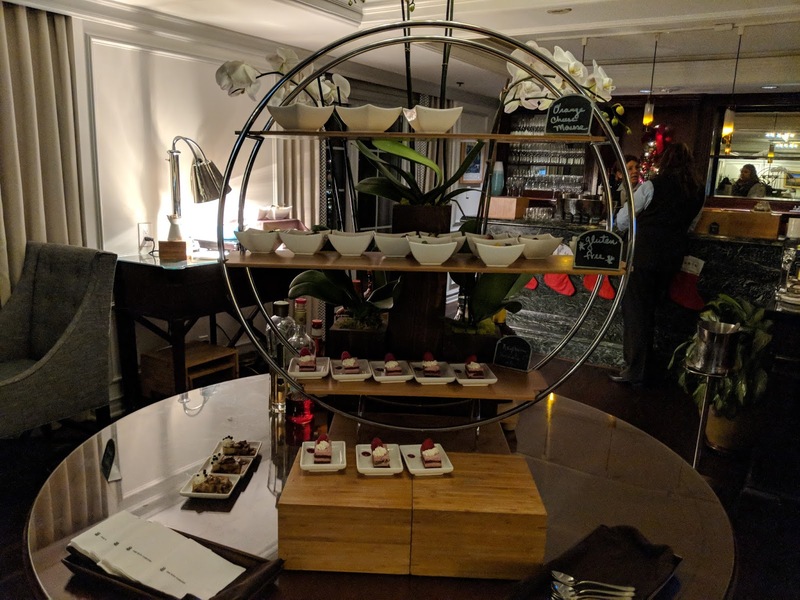 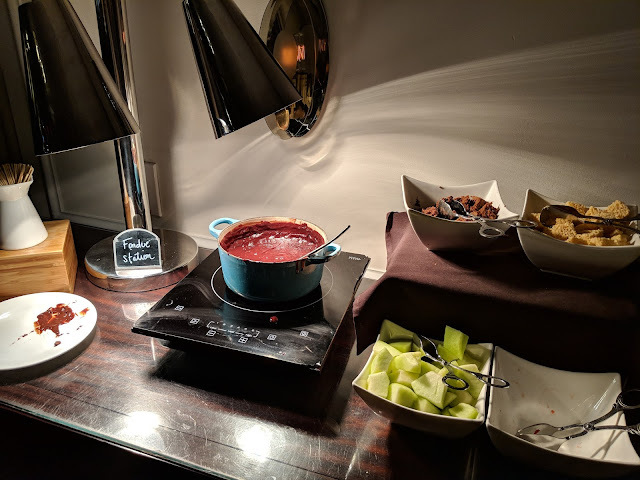 I would say Ritz Carlton club lounges are head and shoulders above other hotel offerings I've experienceed (Grand Hyatt locations for example), so you're paying for a premium experience, as well as better quality food and drinks. 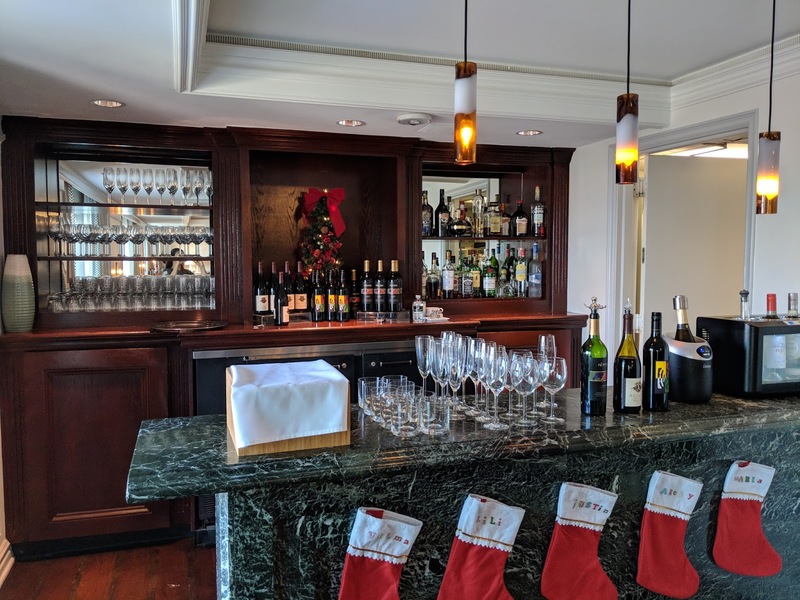 For approximately $100 per person per day, you get all day access to food and drinks, including breakfast, lunch, dinner and complimentary wine and alcohol. You can do the math on what you'd typically spend on all day dining and drinks to see if it makes sense for you, but in most cases you would likely break-even or even come out ahead when comparing it to the hotel dining choices and pricing. 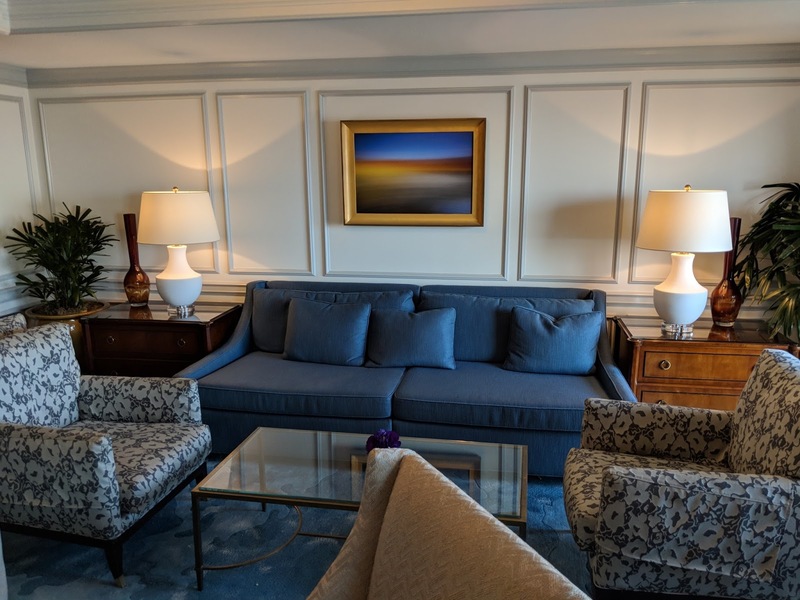 If you have the Ritz Carlton credit card, the three Club Level upgrade certificates you receive are a huge benefit and can be worth a lot in value when using it for upgrading onto the Club Floor. 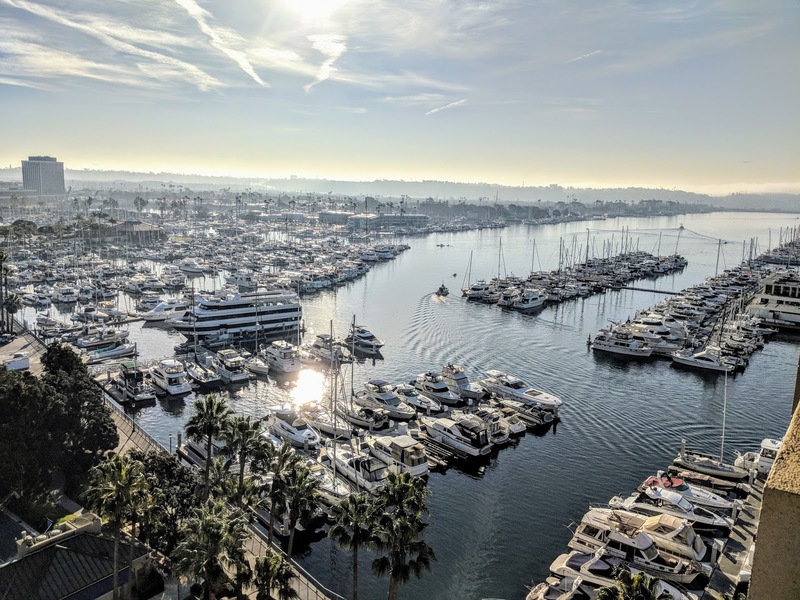 The Ritz Carlton Marina del Rey offers wonderful dining choices and having Club Lounge access compliments these selections very nicely. 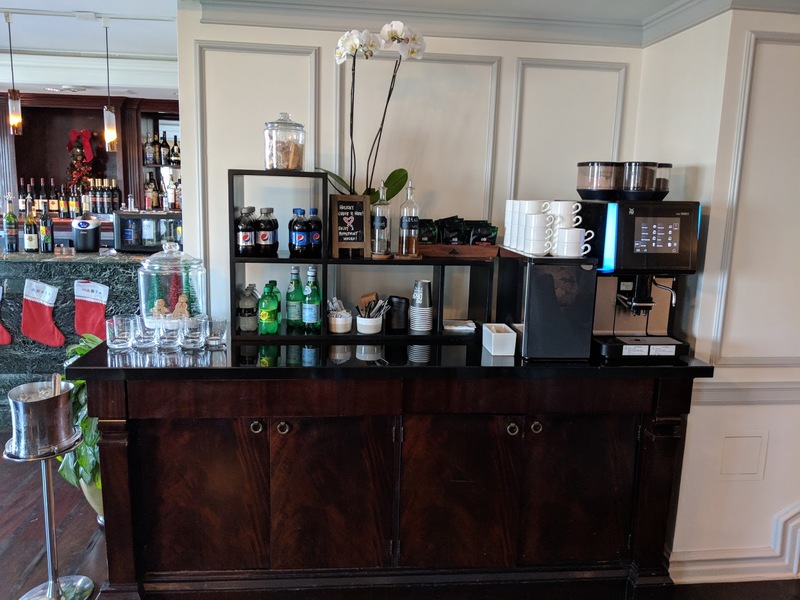 In this case having club lounge access would help save you money, although you may miss out on some of the dining experience offered at the hotel or surrounding area if you strictly relied on the Club Lounge for food. 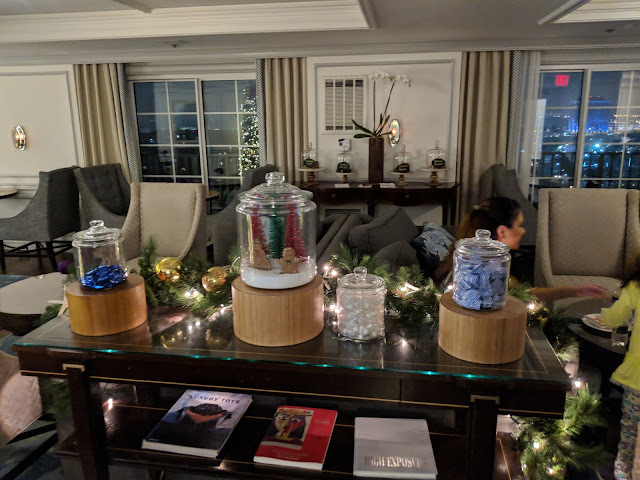 Lastly, the convenience of having club lounge access cannot be overstated, especially with younger children. When traveling as a family with younger children, having club lounge access is huge and in most cases there is no extra charge for kids under twelve. 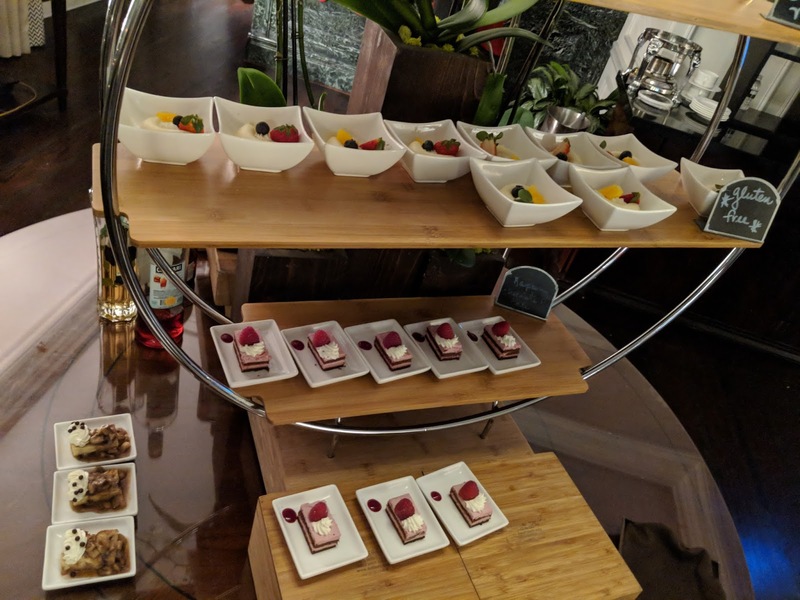 Being able to grab food and drinks at your convenience, scheduling meals around kids nap times and not having to worry about dining reservations is a wonderful benefit to have.